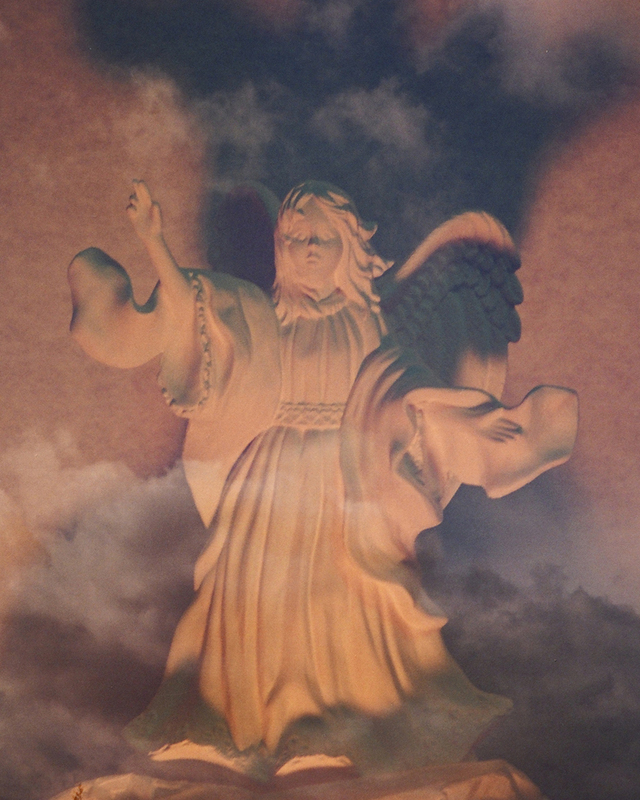 This set of angel images were not Photo shopped. 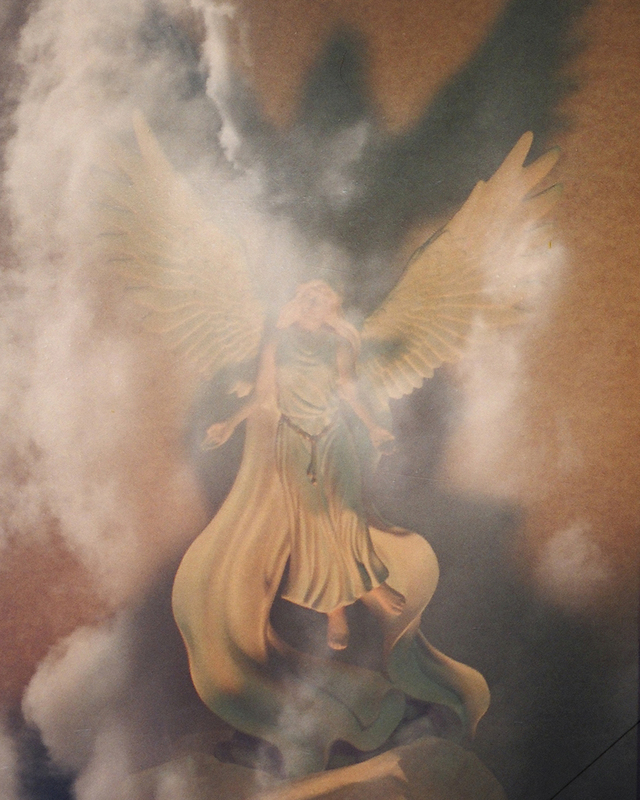 I created these images in 1995. This was when cameras still had film. 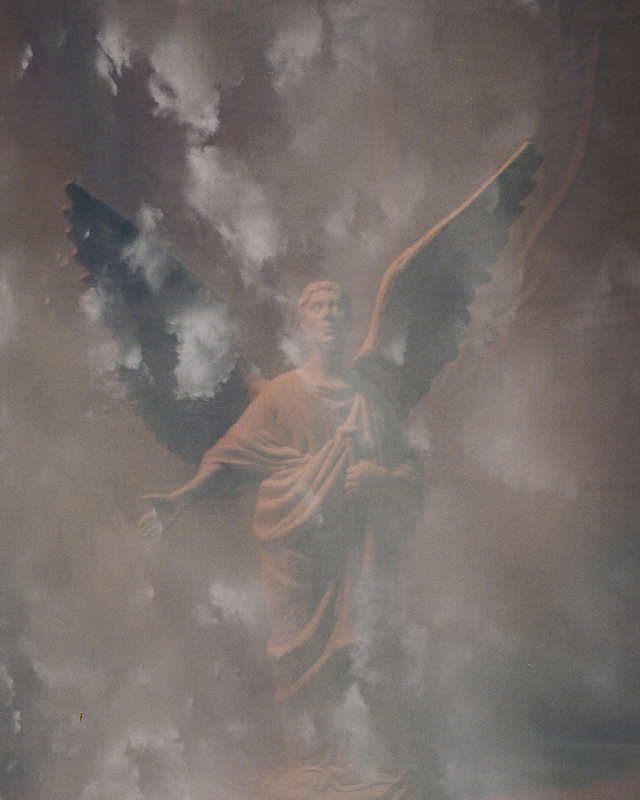 I took an entire roll of film of clouds and then in a darken closet I rolled the film back to the beginning. 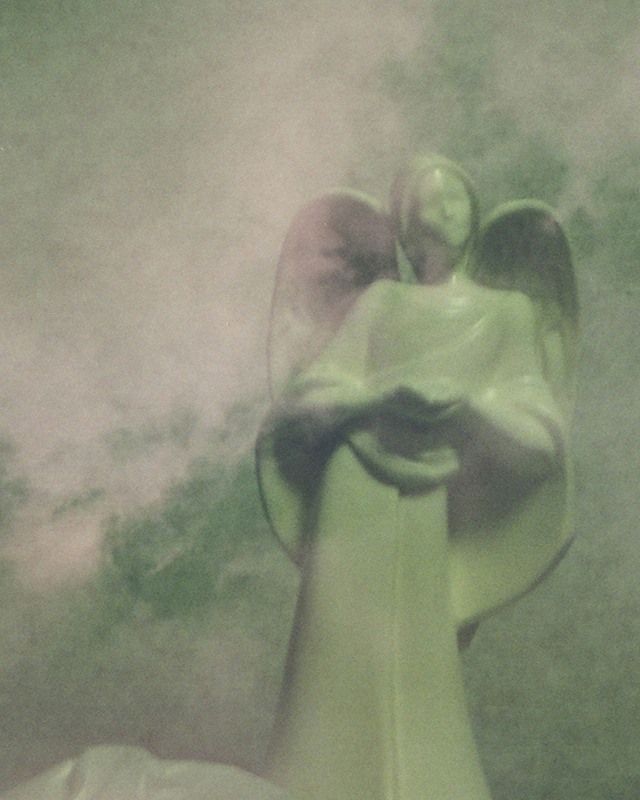 I staged the angel figures and took photos until I had used the entire roll. 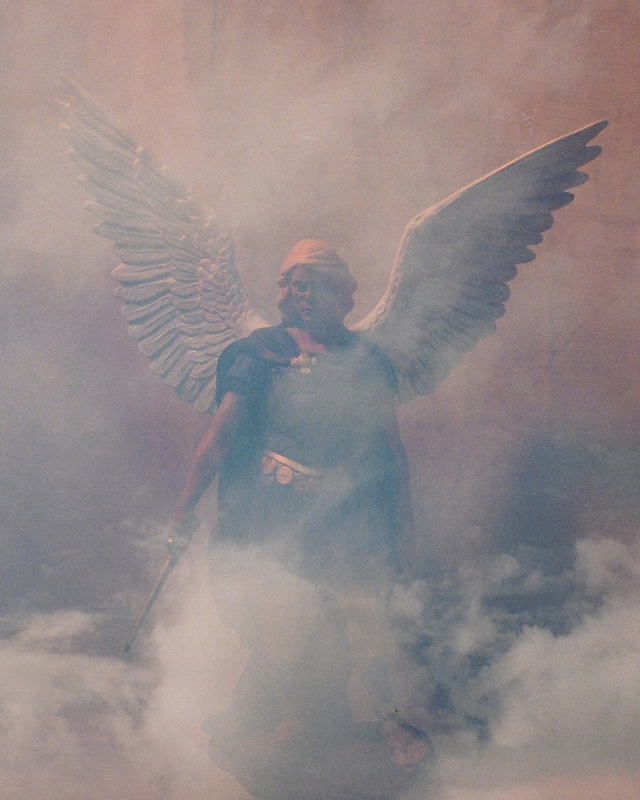 The film was sent to be developed. These images represent the magic that occurred.